Due to injuries in the early part of 2015 (a strained shoulder, then a full distal tear of the left bicep) I hadn’t been on the trail since last December . Happily, my recovery has progressed to the point that I can once again cruise the piney woods and make up for lost time. Matt and I discussed a number of options and settled on the Catskills, since neither of us had ever backpacked there before. We wanted a loop hike, and settled on the Burroughs Range. 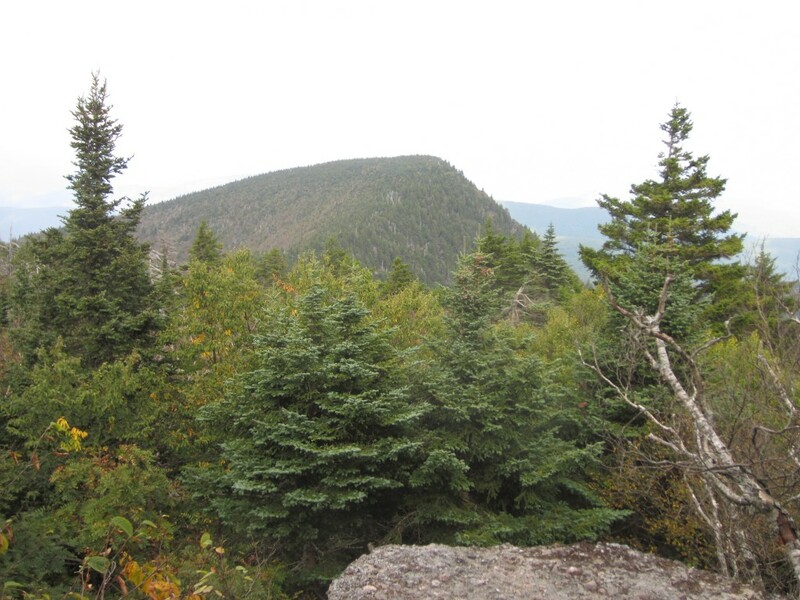 We would start from Woodland Valley, cross Whittenberg, Cornell, and Slide Mountains, finally returning via the Phonecia-Eastbranch Trail. It looked like a nice tidy little loop of about 14 or so miles. We arrived at the parking area at the Woodland Valley Campground around 9:30 am and paid the $6 parking fee at the campground office. The nice lady at the window informed us that the trail we were taking was rated extremely difficult. Undeterred, we thanked her and saddled up for our adventure. Three things became evident right out of the gate; 1) whoever mapped this trail was in a hurry to gain altitude, 2) he obviously never heard the term switchback, and 3) this old man is out of shape (correction, my shape after 9 months of no exercise is round). No matter, I was just happy to be in the mountains. While the climb was steep, it was nice to gain some altitude for a change. We came to a nice level spot with a sorta view, and decided to break for an early lunch. While it wasn’t the sweeping panorama that one dreams of when in the mountains, it certainly was encouraging to see just how much we had already climbed. Back into the fray, we continued on our upward journey until, finally, we hit a fairly level stretch. Not the kind of level that says “we made it”, but that kind that says “get ready sucker, cause it’s gonna end soon”. We passed a spring that was flowing good, and took that as a sign that they all were flowing as well. We took a break at the junction of the trail to Terrace Mountain Lean-to, since my map indicated the next 1.3 miles to the summit of Whittenberg would be steep. In places the climb was steep and unrelenting. 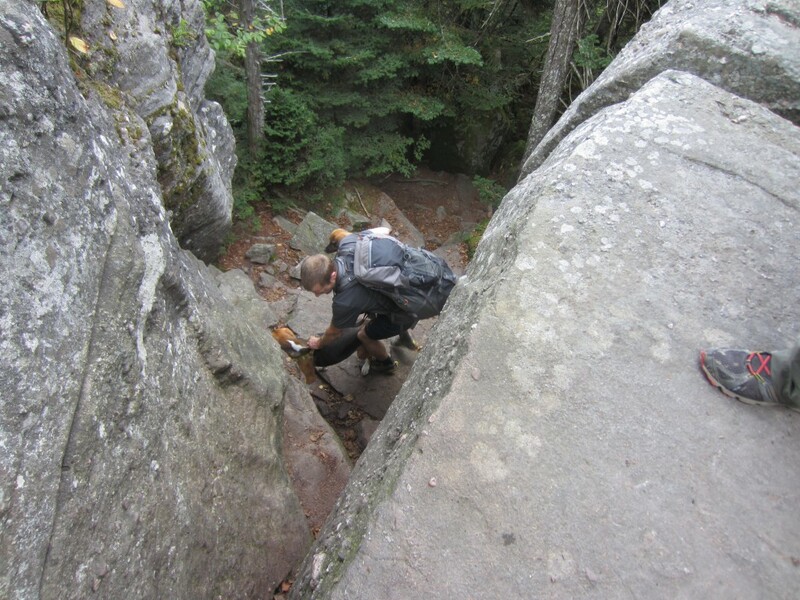 There were ledges to scramble over, and if I were in better shape it would have been a blast. As it was, we just met each climb head on and claimed our victory one battle at a time. 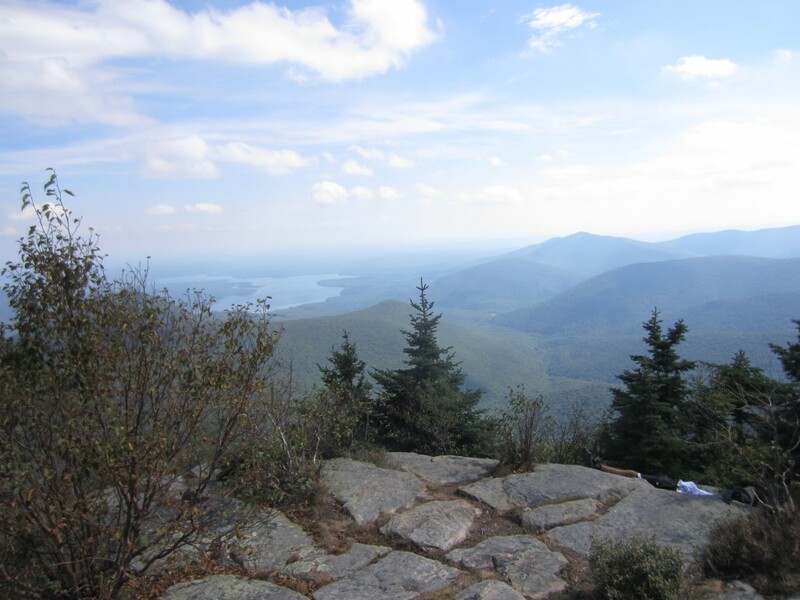 Finally, a little past noon, we reached the summit of Whittenberg Mountain, with it’s fantastic views over Ashokan Reservoir. Sitting in the breeze, taking it all in, the struggles of the morning seemed to vanish. 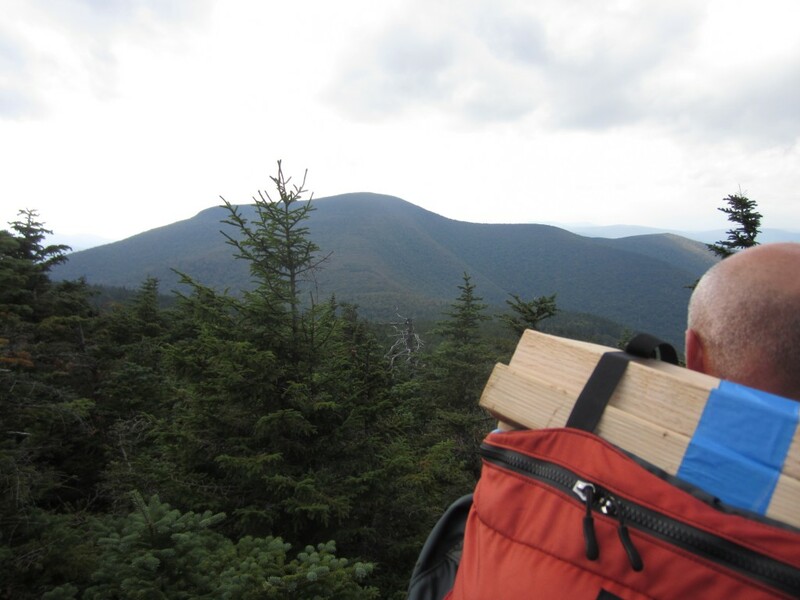 We finally pried ourselves away, and started the trek toward the summit of Cornell. Cornell summit really doesn’t offer anything in the way of views, and was more of an obstacle to our ultimate destination for the day; the col between Cornell and Slide. 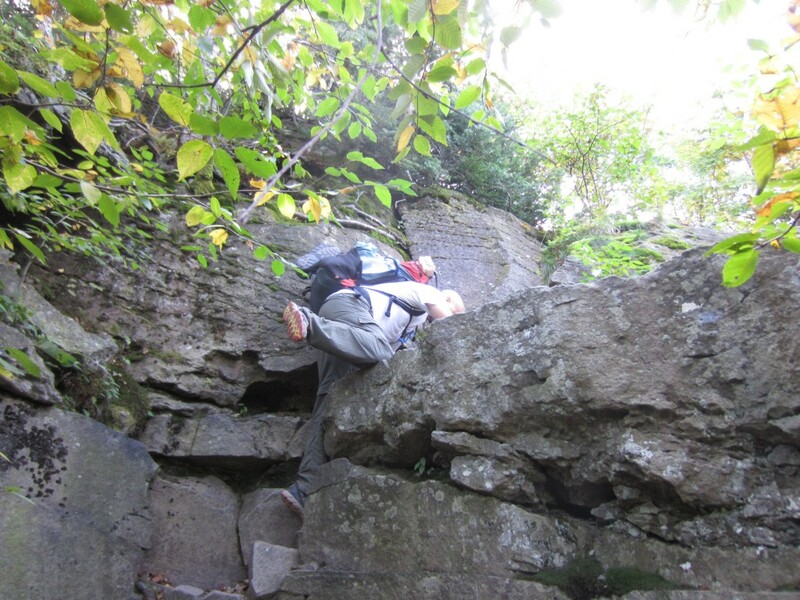 Someone told us the climb up Cornell was a cakewalk, but we found there was more ledges and scrambles, and at one point we had to take our packs off, and hand them up a small chimney like ledge. 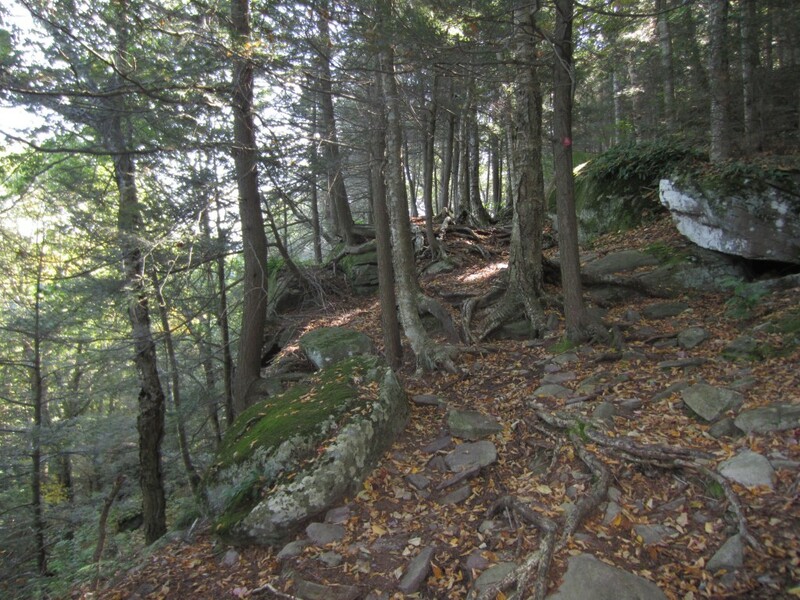 After what seemed like an eternity of downward scrambles the trail leveled out in the col between Slide and Cornell. We reached the first designated campsite and it really looked kind of dismal. 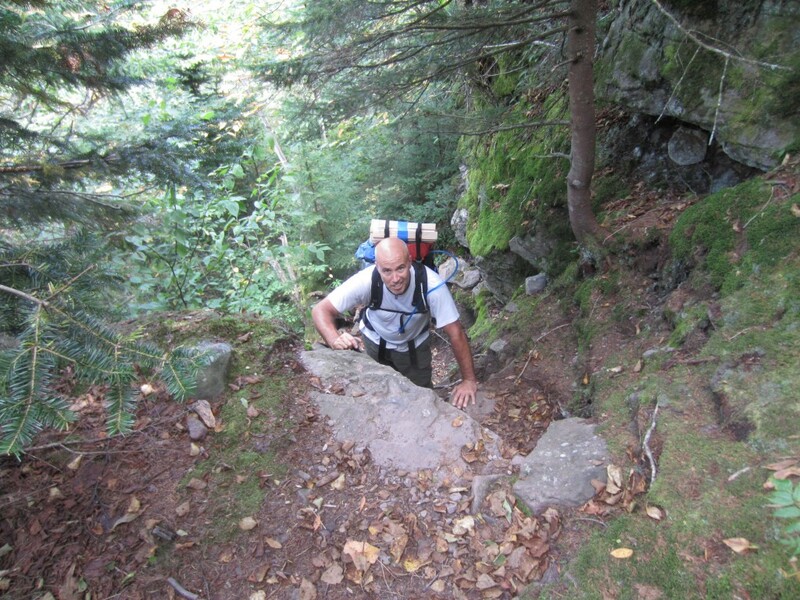 We were pressing on to the spring anyway, so we decided to go to the next campsite near the base of Slide. As we moved on we passed a hiker who informed us that the spring was dry. I was down to my last few swallows and because of the exertion and my water rationing I started to feel nauseous. As I sat and attempted to recover, Matt went ahead and looked for the next campsite. A nice couple out for a day hike offered me an extra bottle of water they had and I gladly accepted. It wouldn’t be enough to get me past my malaise, but it was a welcome help. They also offered that there was a flowing spring 1/2 mile and 500 vertical feet up Slide. I thanked them and plodded on, finally catching up with Matt at the campsite. The wind had picked up and it looked like rain, even though the Weather Channel had assured me otherwise. Matt had a 1.5 liter Nalgene of water, so we decided to call it a day. First order of business, before I ran out of steam or it rained, was to make camp. We got set up in record time, but I had my concerns about my tarp choice for this trip. 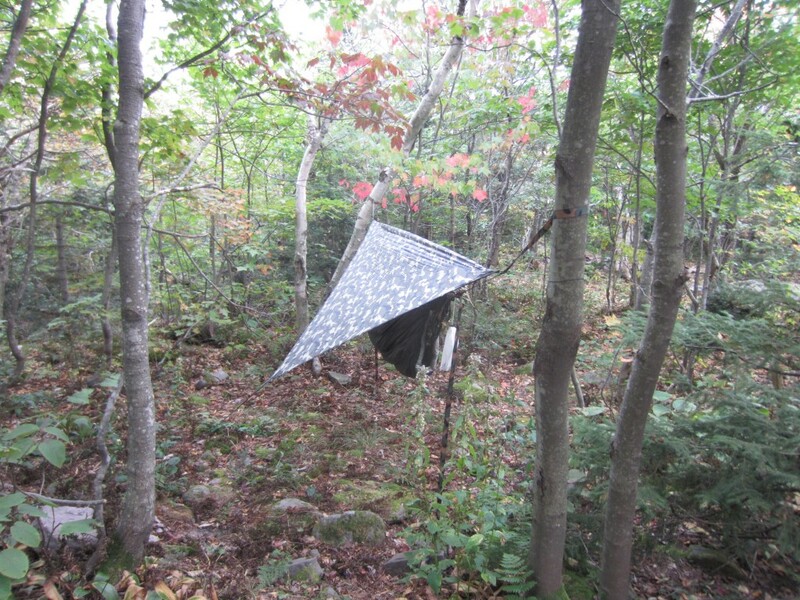 Since I thought it was going to be nice I had brought a paltry little Asym tarp. Now it didn’t look like much coverage, but I’d have to make do. Maybe it won’t actually rain !!??!! Saving that 3 ounces over my cuben full coverage tarp wasn’t so smart after all! I still wasn’t feeling too hot, so I sat and ate some crackers as Matt cooked his dinner; a big, fat, 15 ounce steak. He kindly shared some with me, and I finished off my dinner with a blueberry Odwalla bar. I was disappointed not to eat my Pakit Gourmet Texas Fair Chili, but that wouldn’t have been very wise given my condition. We settled in a little before dark and I drifted in and out of a light slumber, until I awoke to the sound of large raindrops hitting my tarp at 12:45 am. The wind was howling, and with every gust my silly little piece of silnylon lofted like a hot air balloon, letting the rain pelt me directly. I knew I didn’t have a choice, so I threw my rain jacket on, lowered the tarp as much as possible, and generally tried to batten down the hatches. To add insult to injury, I went to sit in my hammock and missed, landing flat on my back. Well, at lease there weren’t any rocks. Grumble, grumble, dust myself off and back to bed. Feel around – everything isn’t perfect, but it’s much drier. Finally, back to sleep. By the time morning rolled around the rain was done. I wasn’t quite feeling normal, but forced myself to eat breakfast anyway. Matt and I talked as we broke down camp, and we decided to cut the trip a little short. Instead of hiking the Phonecia-Eastbranch Trail we would cross Slide and hike down to the parking area at the base of the mountain and try to get a ride back to my truck. 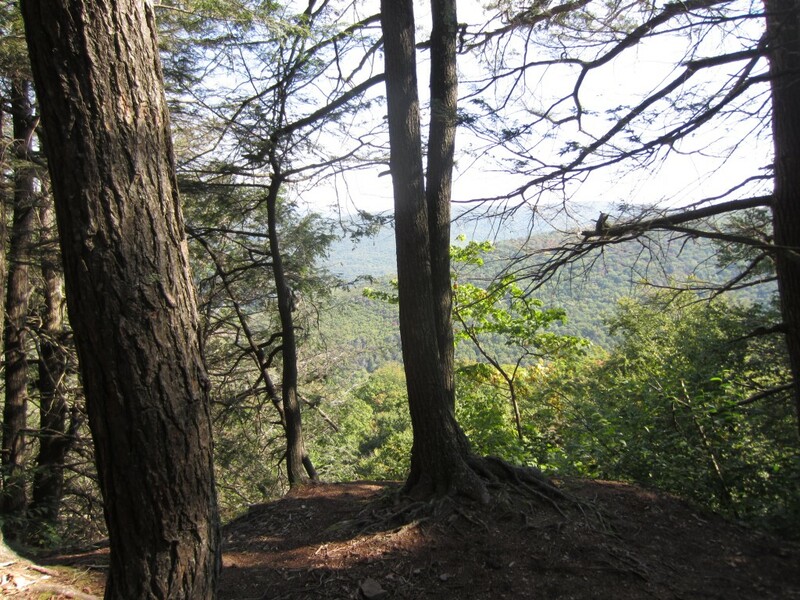 As we headed out, the trail decided to get steep again, but we were ready this time. After a few more dicey ledges we finally reached the spring. We tanked up and filled our bottles, taking a few minutes to rest. Cornell and Whittenberg from the shoulder of Slide. While this climb was steep, including some ladders, we were in much better spirits. 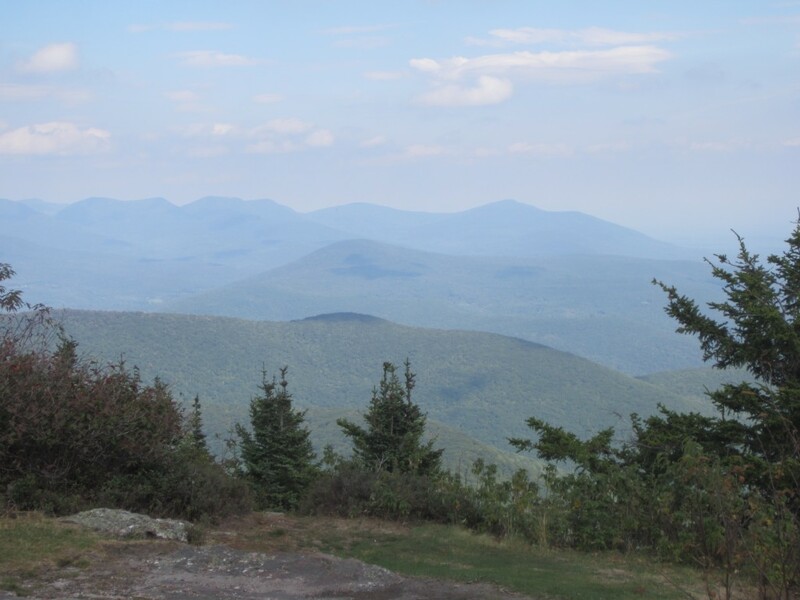 Slide is the highest mountain in the Catskills at 4190 feet, but the climb to the summit wasn’t all that bad. 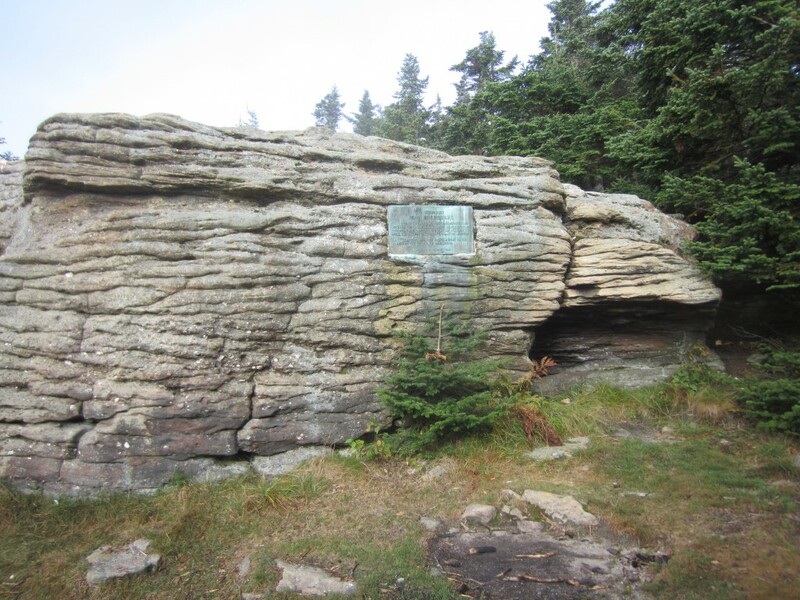 We had fought the hard battle the day before, and before we knew it we were at the summit rock. Sadly, there were no views due to cloud cover. 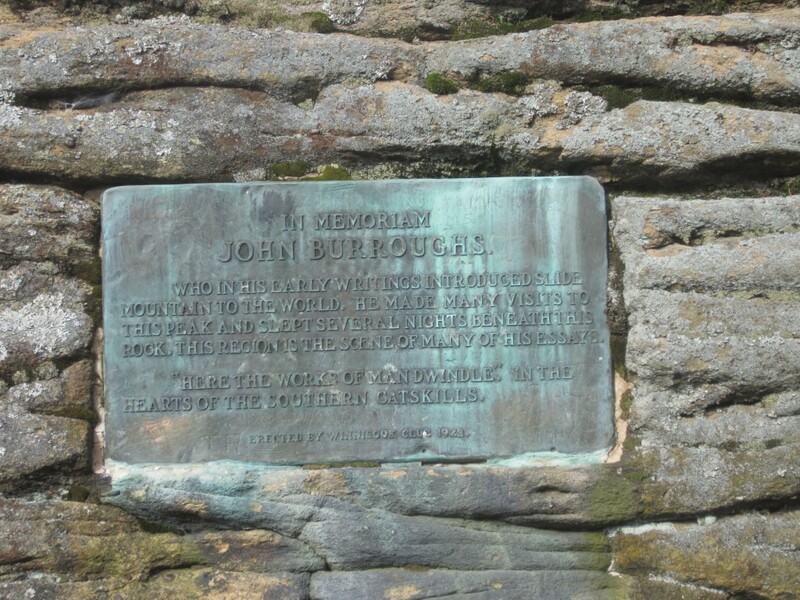 Burroughs plaque on Slide Mt. The trail down the west side of Slide Mountain was a cakewalk compared to everything else we had endured on the Burroughs Range. 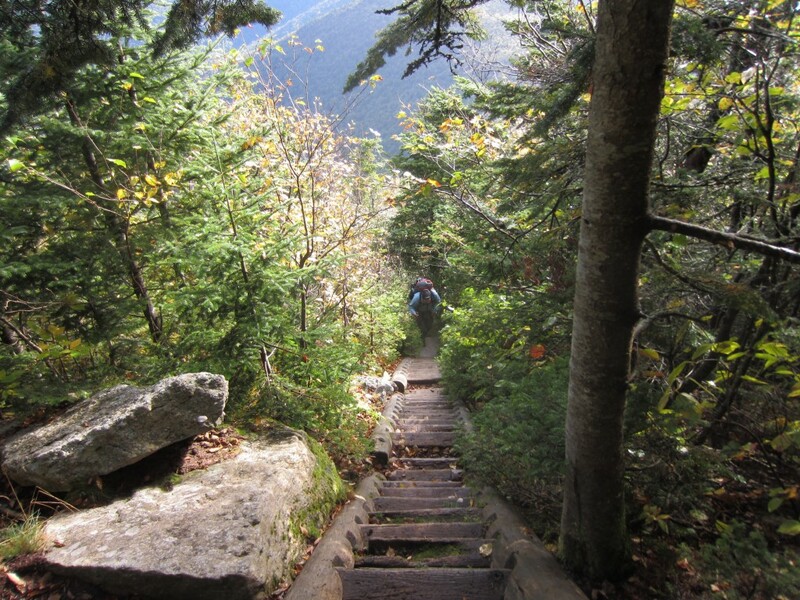 The trail used to be an old carriage road to bring wealthy tourists to the summit. 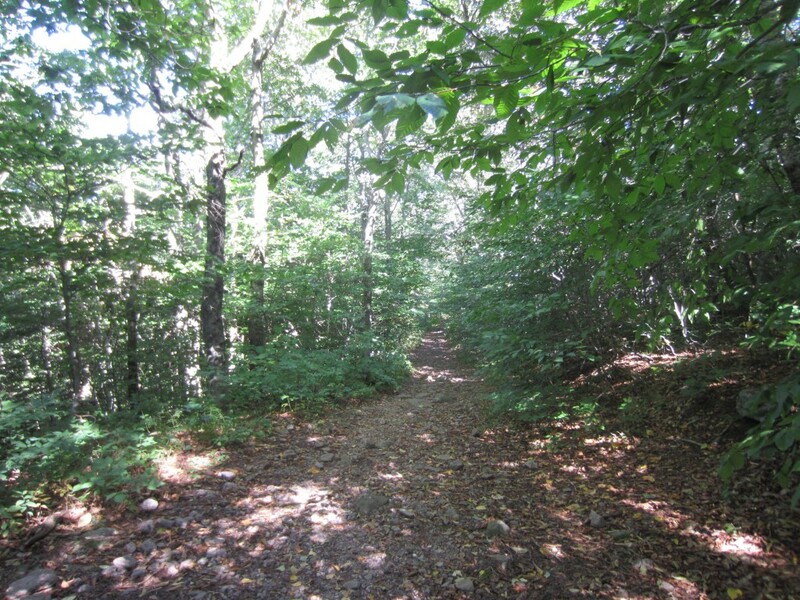 Old carriage road on Slide Mt. The hardest part of the walk out was the constant rocky downhill the whole way. 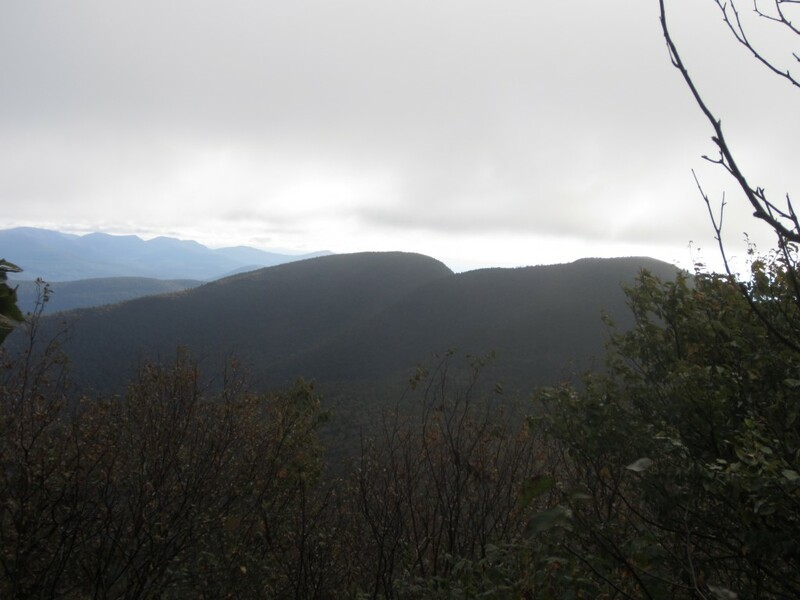 As we hiked lower toward the valley, quads screaming the whole way, Matt said,” Well, I can check the Catskills off my bucket list” to which I replied with a chuckle, “Next week we’ll be talking about how great this trip was!”. 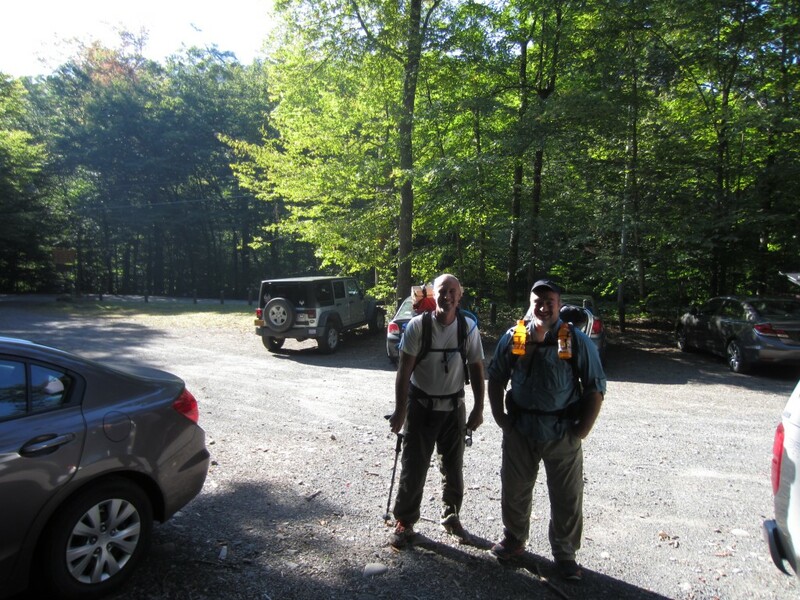 When we finally made it to the parking area we saw a couple of fellows we had talked to the day before. Thankfully they agreed to take us back to my truck. Some people call that “trail magic”, but I know a blessing when I see one. I saw Matt at church last Sunday. Matt: That was a good trip. Subscribe to Walking With The Son today!